Roughly a year ago, there were many people, including yours truly, who were wondering if San Diego Chargers’ quarterback Philip Rivers was approaching the beginning of the end of his career. His numbers had taken a significant dip, his team was struggling to win games, he was turning the ball over at an alarmingly high rate, and his performance on the field was a far cry from the Pro Bowler he once was. But to the surprise of many, Rivers has bounced back in 2013, revitalizing his career and proving that he still has some good years left in him. 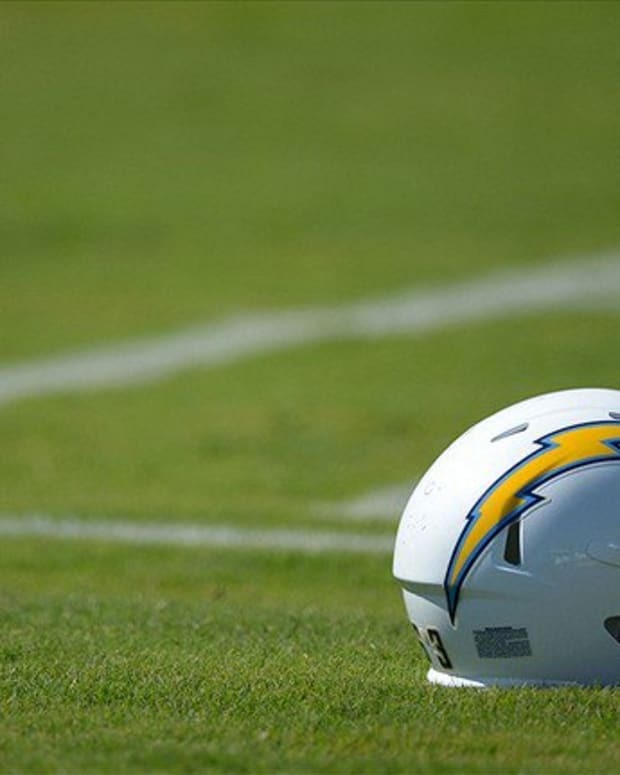 The change of head coach in San Diego from Norv Turner to Mike McCoy has made all the difference for Rivers. McCoy proved during his time as Denver’s offensive coordinator that he is brilliant at orchestrating offenses around the talent he has, transitioning quickly from an offense based around Tim Tebow to one based around Peyton Manning. McCoy is now doing the same thing in San Diego, running an offense that fits the talent he’s working with, and Rivers is reaping the rewards. McCoy has made sure that Rivers gets rid of the ball as soon as possible, utilizing his quick release, which is one of his best assets as a passer. As a result, Rivers’ stats are jumping off the page. Through seven games, Rivers is completing 73.9% of his passes, which is nearly 10% better than last season and far better than his previous career high. With 15 touchdown passes in seven games, Rivers could end up threatening his career-high of 34 touchdowns passes from 2008, the year he broke out as one of the league’s top quarterbacks. Even with fewer downfield throws, Rivers is on pace to eclipse the 4,000-yard mark for the fifth time in his career, after falling well short of that mark last season. Most importantly, Rivers has dramatically improved his turnover rate. Right now, Rivers is on pace for his lowest interception total since 2009, which would be a revelation after throwing 35 interceptions over the past two seasons. Also, after fumbling an unfathomable 13 times last season, Rivers has yet to put the ball on the ground this season, as McCoy has schemed to give Rivers less time in the pocket to be harasses by pass rushers swatting at the ball in his hands. Perhaps the most impressive part of Rivers’ season is the supporting cast he’s doing it with. There were questions about San Diego’s offensive playmakers heading into the season, and Rivers has even less to work with now after season-ending injuries to Danario Alexander and Malcom Floyd. 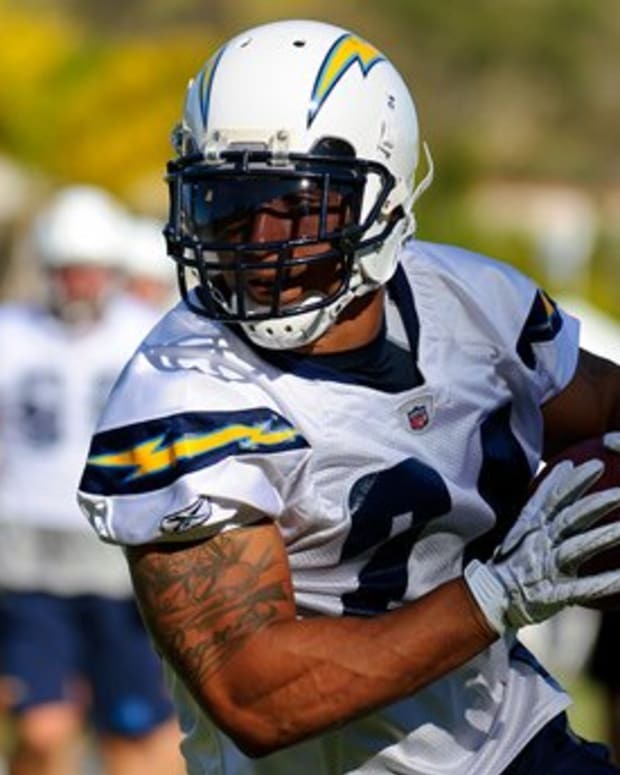 Rivers has put together a great bounce back season with the aging Antonio Gates, rookie receiver Keenan Allen, and diminutive running back Danny Woodhead as his main targets, with a little support from Eddie Royal and Vincent Brown. Even without a stellar corps of receivers, Rivers has managed to put together one of the best seasons of his career. McCoy certainly deserve some of the credit for putting Rivers in an offensive scheme that fits his talent, but a majority of the praise should go to Rivers for his execution on the field. Just when critics were starting to count him out, he has come back in 2013 and proven to everyone that he can still play quarterback in the NFL at a high level. Whether it’ll be enough to get himself back to the Pro Bowl or get the Chargers back to the playoffs remains to be seen, but Rivers has found a way to revitalize his career, which is nowhere close to over. 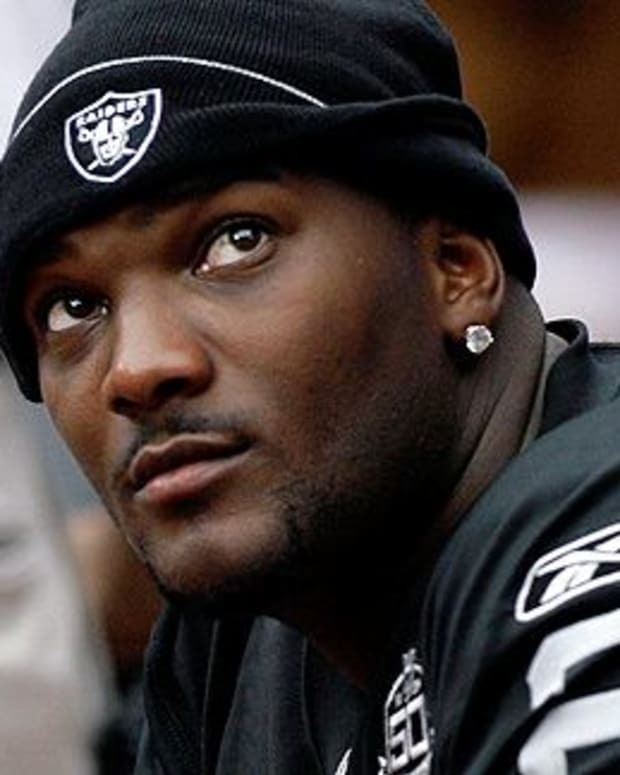 JaMarcus Russell to Chargers, Browns or Vikings? Which Philip Rivers Will the San Diego Chargers Get Next Year?